Buying a car can be an absolute minefield. There are just so many considerations, it can be hardly surprising that so many people just completely avoid the subject altogether and stick with the car that they’ve had for years. After all, that’s the easiest option right? Not necessarily, no. Buying a car doesn’t have to be difficult. Whether you’re looking at the latest high-end sports models or small family hatchback cars, the whole process can be made much easier by sitting back and thinking through a few options before throwing yourself into the minefield. 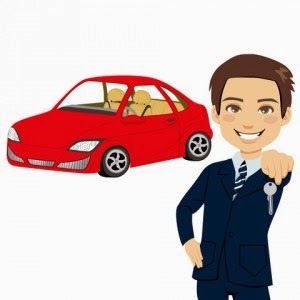 You’ll need to think about the type of car, whether to opt for a new or used vehicle, and also your different payment options, including car finance. Let’s go through them one step at a time. You’ll need to think about your needs, for this one. Do you live on your own or as part of a couple? A small hatchback might be just the answer for you, even if you’ve got small children. For larger or older families, a saloon or even an MPV might be the answer. If you often carry large loads (or dogs), you’ll probably want to be looking at an estate vehicle. Of course, if you’re just looking for something a bit more flash and fun, a sports car or coupé model might be more up your street. Identifying the type of car you want to buy is crucial, as that will form the basis upon which everything else is built. It’s a debate which has been going on ever since the car was invented, and it’s not likely to stop any time soon. There are upsides and downsides to both. Used cars are, as you might imagine, generally much cheaper to buy. They’ve been bedded in and have proved themselves roadworthy, and that can be a big bonus, especially in these times when money is a little tighter. However, purchasing options can be limited. With a new car, you can choose whatever model you want, customize it to your own requirements and have more options in terms of payment. For that, though, you’ll lose a huge amount of the value the moment you drive it off the forecourt and will be the first ‘guinea pig’ driver of that particular vehicle. Three years without having to shell out for MOTs is not to be sniffed at, though. With a new car, you’re likely to have far more flexible payment options. Many dealers are offering 0% finance deals, allowing you to spread the cost of a new car over a number of years without paying a penny in interest, making it far more sensible than shelling out the cash for it. With used cars, that sort of flexibility doesn’t usually tend to exist. Many dealers will be able to arrange finance deals, but these tend to incur interest — a better option might well be a bank loan. To put it simply, there’s no right answer which will suit everyone. That’s part of the reason why some people prefer new cars and some prefer used ones. Using the information laid out above, once you’ve decided on the type of vehicle you want and have weighed up the options regarding used and new cars and the different pros and cons and payment options associated with them, you’ll be able to be well on your way to buying a new car and finally getting rid of the model which has been sat on your drive for the past few years whilst you’ve put off what you previously thought was going to be far trickier than it actually is.